Orlando is so much more than just a home to a dozen theme parks. There’s no denying it: the weather is glorious and there is so much to do here, one can never be bored, but why should you come to this central Florida city to conduct business and exhibit? 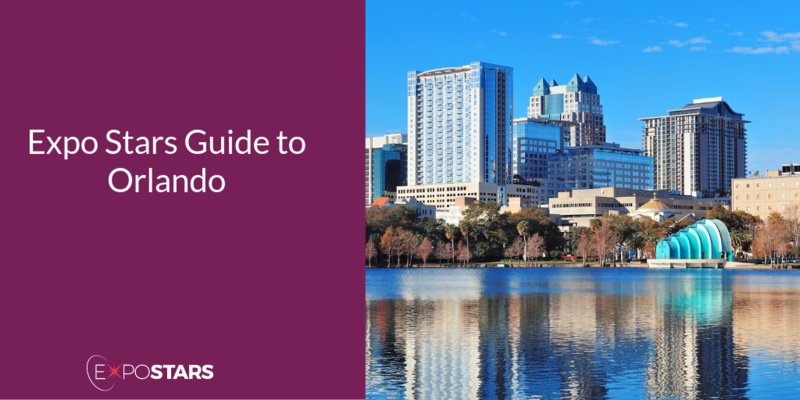 Because downtown Orlando is the heart of Central Florida's diverse emerging economy. It is considered the hub for finance, government and commerce. Orlando is the ideal exhibition destination thanks to the size of the Orange County Convention Center (OCCC) and the warm welcome you receive from the exhibition staff, but more importantly, Florida is known as the Sunshine State. The glass walls and windows of the OCCC allow for you to take full advantage of the glorious weather - everyone is happier in the sunshine. The OCCC is only minutes from Orlando International Airport and within easy walking and driving distance of world-class dining, shopping and entertainment options. Margo, Nadia, Elizabete, Melissa, Suzie, Lees and Daniela. Which park shall we start at? Kadence - here you’ll find some of the best sushi in the city, they serve Japanese breakfast on the weekends and chirashi bowls filled with sashimi, vegetables, and sushi rice to go. Mathers Social Gathering - these guys make some of the best cocktails in the city, but they also have a small food menu, which includes everything from chilli rice cakes to charcuterie boards. The Glass Knife - Part art deco bakery. The Glass Knife is a new spot in Winter Park that serves just about every sweet you can imagine, from pistachio orange donuts to a chocolate raspberry tart.